This Chris' EXCLUSIVE design will help you cheer on YOUR favorite Oklahoma State team! 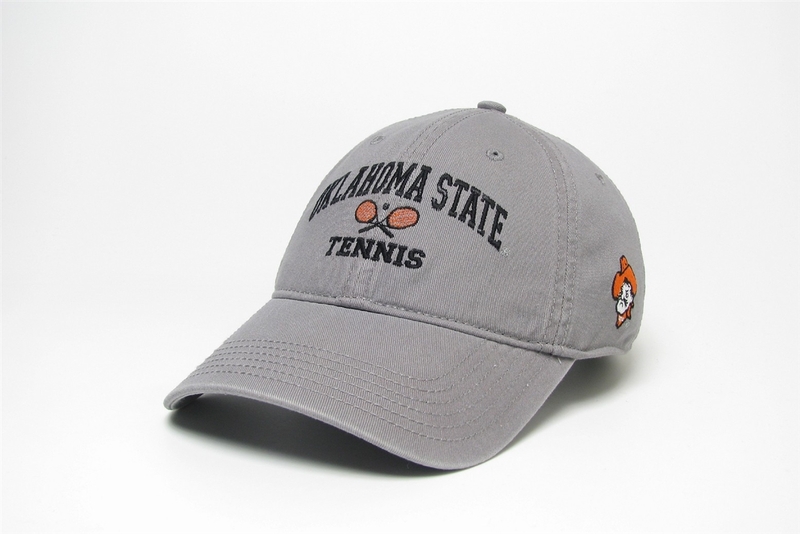 This relaxed twill hat by Legacy is gray with the classic arched Oklahoma State logo and cross rackets with TENNIS below. Pistol Pete head logo is on the side. Adjustable fabric strap.